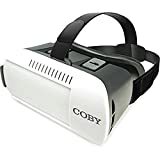 The field of virtual reality technology is rapidly evolving and great improvements are being done However the price of virtual reality headsets has been the greatest factor hindering most individuals from enjoying the virtual realm since most headsets range at around $500. The fact that the Oculus Go VR headset comes at a way cheaper price of about $200 makes it a very affordable headset. Below is an in depth breakdown of some of the impeccable features of the Oculus Go VR headset. The Oculus Go VR headset poses a great LCD display panel measuring 5.5 inches with a resolution of 2560 x 1440. It also has a refresh rate of between 60 to 72Hz (which is application dependent) thus making it relatively suitable when it comes to gaming. In addition, it also applies fast switch technology which generally aids in improving clarity. Despite its very affordable price, the Oculus Go headset still brags of possessing the best optics available in any current VR headset. The lenses used in the Oculus Go VR headsets is a feature which cannot go unnoticed. The headset uses lenses compared to those of the rift headset but which are of better quality since they reduce the rate of flare distortion. They are generally designed to be triangular in shape and are way better compared to older designs. This is another feature in which this headset is unique. This is because instead of using headphones, the VR headset applies unique speakers which are built in the sides of the headset. The headsets also feature the use of the 3 degrees of freedom controller which is responsible for tracking hand movements through touch. However, it does not support positional tracking compared to Oculus rift or Vive focus thus they have a different level of immersion. This, therefore, becomes one of the tradeoffs which causes it to come at such a low price. The Oculus Go headset comes with a 32 Gb storage while an advanced version comes with 64 Gb storage. Generally, the Oculus Go headset is relatively a great masterpiece by itself especially in the affordable price it comes in at. However, it also has few shortcomings which include longer charge times compared to runtime and lack of spatial tracking just to mention but a few. It is also important to note the image quality also depends on the phone used. The headset therefore still remains a great build and is worth giving a try. Head over to Amazon.com to get the Oculus Go for the best price.